What sort of School Experience will I need? 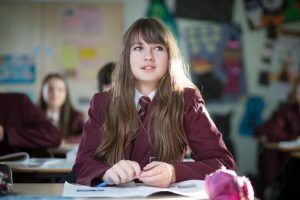 You normally require some time working in a school environment and we offer school Taster Days for those people who are looking to spend time in the classroom. It is not necessary to work in a school however, time spent working with young people is also considered. If you have not worked in a school or a college, then make sure that you include any information on your application form that might showcase any transferable skills. Further information on the school Taster Days can be found here. What should I put in a personal statement? Tell us why you want to teach, make sure that your enthusiasm for working with young people comes across throughout your personal statement. Tell us about your experiences working with young people and how they have inspired you. Tell us about what skills you may have that you have not been able to tell us about within the UCAS application form. Above all, please make sure that you have used a spell check, or ask someone to proof read it for you. Spelling errors can leave a negative impression. I am still waiting for my references, can you process my form without them? The simple answer is no! You will be asked to provide two references. Your application will not be sent to us without your completed references attached to it. If you are working on your application, then do please make the time to explain the process to your referees and how important it is that they complete their end of the task as speedily as possible as this process can hold up your application and mean the difference between your application being considered in time for what can be highly competitive places. I’d love to apply, but it’s been years since I was at school and I’m a bit rusty! Don’t worry! Candidates who can demonstrate that they have an aptitude for teaching during their interview, but who need to brush up their subject knowledge may be offered an opportunity to complete a Subject Knowledge Enhancement course before starting their teacher training. The cost of SKE courses is covered by the government and you are compensated for time and costs through a variety of grants that are available depending on the length of the course you need to undertake. School Direct trainees who successfully complete their training may be employed in any school with a vacancy in their subject across the Alliance. There can, however, be no guarantee of employment, as vacancies will largely depend on circumstances that may exist in schools at the time, though the teaching school will be support you in securing employment. Trainees would be required to go through a full and formal application process for any vacancies. Is there any support to pay the tuition fees?